Home » » Police Arraign Man, 50, Son, 16, For Defiling 10-Year-Old Girl. Police Arraign Man, 50, Son, 16, For Defiling 10-Year-Old Girl. 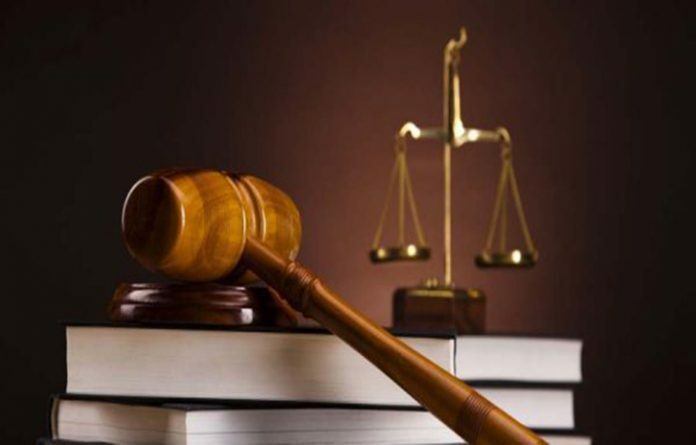 A 50-year-old man and his 16 years old son have been arraigned at Evboriaria Magistrate Court in Benin for allegedly defiling a 10-year-old girl. This is coming less a month after a 70 year-old grandfather and his two sons were arraigned in court for allegedly defiling a 9-year-old girl also in Benin. The duo was arraigned for a one count charge each of unlawful carnal knowledge. The offence according to the prosecutor is punishable under section 218 of the criminal code cap 48 Volume 2 laws of the defunct Bendel State of Nigeria 1976 as applicable in Edo State. The two accused persons, Reuben Enosegbe and Reuben Destiny pleaded not guilty before Chief Magistrate Efe Akhere of Oredo Magistrate Court 3. The Defense Counsel, Nicholas Omobude who pleaded for their bail argued that they were innocent of the crime until proven otherwise. The lawyer who assured the court that the accused persons will not jump bail also pleaded that the 2nd accused person is a minor and should be granted bail. But his efforts to secure their bail hit a brick wall as Chief Magistrate Efe Akhere said the matter will not be tried at his court. The court subsequently transferred the case to a family court where the accused persons’ bail will be considered upon resumption on Wednesday April 21, 2018. In the meantime, the 1st accused person would be remanded at Oko Prison while his son who is a minor would be taken to the Children’s Remand Home, Ugbekun Quarters. Speaking on the outcome of the court procedures, the defence counsel, Nicholas Omobude expressed optimism that his clients will get justice. The 10 years old victim who was also in court said she had earlier disclosed to reporters how the duo had a carnal knowledge of her at different occasions always. The minor said she was tempted with N20 during the countless times they defiled her or at times she was asked to buy recharge card for them to lure her into their house. It would be recalled that a 70-year old grandfather and his two sons were arraigned in court for allegedly defiling a nine-year-old girl.